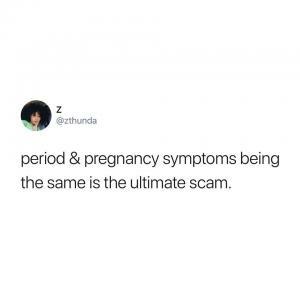 Period & pregnancy symptoms being the same is the ultimate scam. 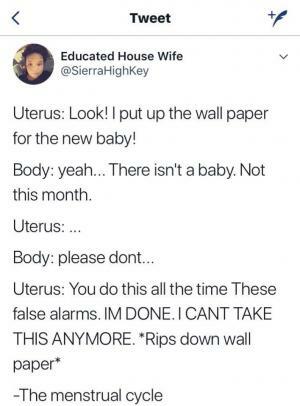 Uterus: Look! I put up the wall paper for the new baby! Body: Yeah... There isn't a baby. 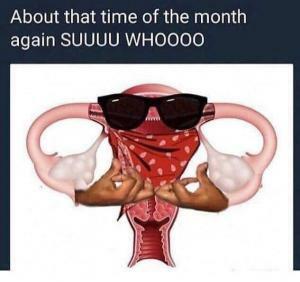 Not this month. 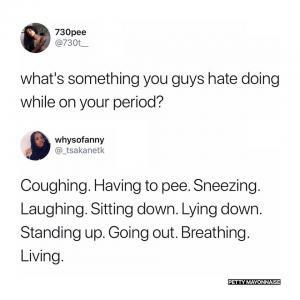 2 period pains left for this year. 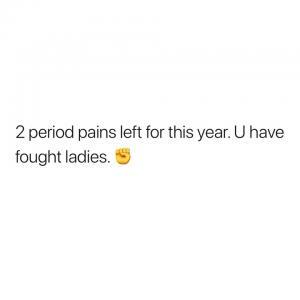 U have fought ladies. 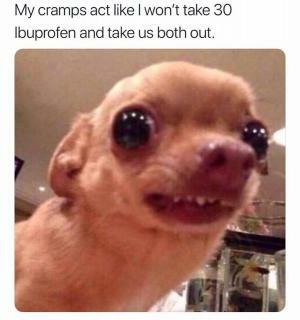 My cramps act like I won't take 30 Ibuprofen and take us both out. 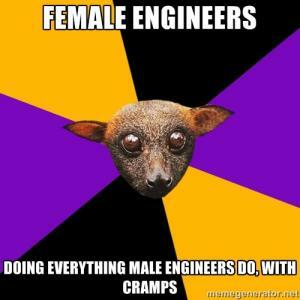 and this is w jaws 4 started..
not even the king of the jungle escapes it.